This new restoration of the 1978 drama series Quatermass lets fans of Nigel Kneale’s thoroughly Post-War British character revisit the final trajectory of his story arc – to mix rocketry and scriptwriting tropes in an awfully appropriate fashion. In case you didn’t know, Bernard Quatermass is a fictional British rocket scientist, created by Nigel Kneale in the early 50s. In a series of radio and tv series and films over the next 25 years, Quatermass defeated alien invasions with egghead know how and his own unique brand of speculative, lateral thinking with a cybernetic slant. There were four stories, with tv and film versions of each. Hammer’s 1967 Quatermass and the Pit is arguably the most widely known version of any of the stories, although apparently it is nowhere nearly as good as the tv series it was based on. The first story, The Quatermass Experiment was remade in 2005 with Jason Flemyng playing Quatermass. That would be interesting to see, if only because Quatermass comes across to me as primarily a product of his age, with a life span as a character that tracks the post war period, from the 50s through the ‘white heat of technology’ fervor of the 60s … and on to the 80s, when this tv series is set, and in which Quatermass self-identifies as an Old Guard protector of the human species. The series is set in a 1980s’ near future Britain, where the forces of law and order are fighting a losing battle with gangs of violent, marauding ‘young people’. Some of the gangs have a New Age Pagan meets Punk ethos, chanting and hanging out at stone circles. When a series of these ancient sacred places are zapped by cosmic rays, killing thousands, Quatermass is called in to discover what the devil is going on. 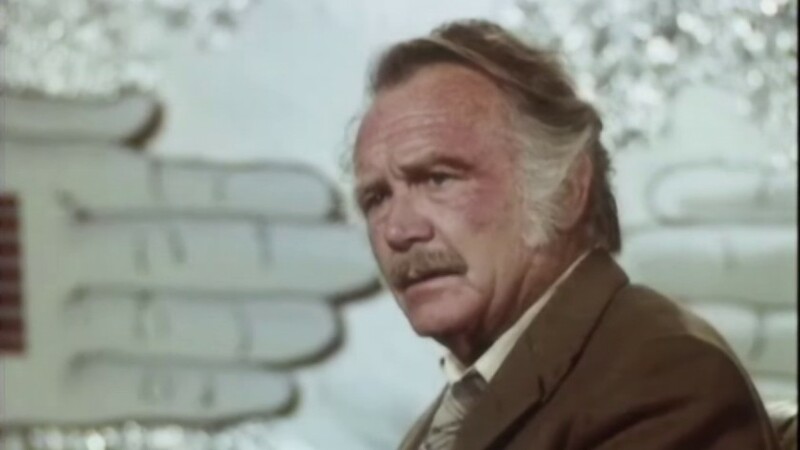 John Mills makes a pretty good Quatermass, being an old-fashioned, senior nice guy. But the story as it develops is sillier than it sounds, and there’s some rather embarrassing acting from the late Simon MacCorkindale as a younger colleague; many of the young ‘Planet People’ act like they’re in a spoof too. It is the execution of the piece – the production values, especially in the urban decay and Planet People sequences – that wrong foot the rather wonderful high concept at the back of the narrative. This concept is similar to that in Quatermass and the Pit – and Ridley Scott’s more recent Prometheus for that matter; it’s an idea that sends tingles up and down my spine, I think because it links very British locations (London Underground stations, stone circles) with something as off-planet and von Daniken as the seeding of life on earth by alien intelligence. Here, dramatic niceties often play second fiddle to the playing out of Quatermass’ brand of speculative ‘scientific’ – or at least thesis-based – thinking, which moves along, changing continuously. The audience is asked to consider the ideas as essentially dramatic, in themselves. We listen in to a series of discussions amongst aging boffins and overcooked eggheads in which Kneale tracks the changes in Quatermass’ thinking on the nature of the enemy the human race is facing; but neither the ideas nor their differences from each other seem important enough to warrant such onscreen time. I’m glad they are there though and it is testament to Kneale’s abilities as a writer that he can make ideas as flaky as this sound like a leftfield scientist might say them. That was always the signature of the Quatermass stories: to take B-movie sci-fi story lines – in this case Hormone Suckers From Outer Space – and countenance them as possibilities in a scientific age. To scale them up, not in a Star Wars kind of way, but to render them credible and epic, perhaps even as allegories for issues in the real world. It is a pretty unique idea in the youth-addicted world of film. When was the last time you saw a film in which old people save the world, whilst young people walk to their deaths in a stupor? Cocoon? It isn’t exactly a fashionable sci-fi movie conceit, is it, despite the large size of the senior film audience? Here, at least, is intelligent sci-fi with older people in it. This series is proof that the embarrassingly naff and the deeply profound walk hand in hand through the bombed out streets of our post-apocalyptic visions. Quatermass is out on Blu-ray and DVD on 27 July 2015.